COMMON NAMES: Spanish slipper lobster, slipper lobster. 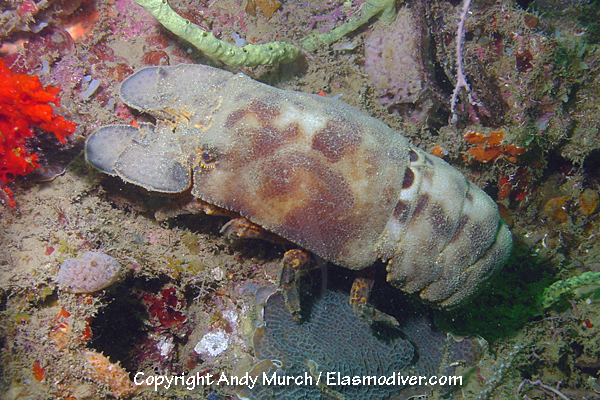 DESCRIPTION: The Spanish slipper lobster has a drab beige carapace and abdomen with darker reddish brown patches. Its paddle like antennae plates have no obvious hair-like extensions. RANGE: South Carolina to Sao Paulo, Brazil. All of the lobster images on elasmodiver.com are copyright protected. 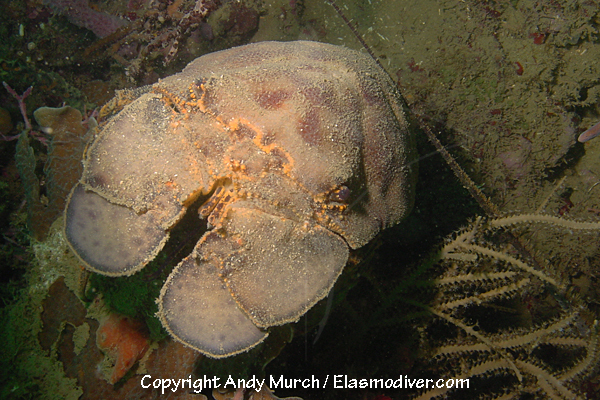 No unauthorized use of these Spanish Slipper Lobster pictures is permitted. Please contact Elasmodiver for further information. 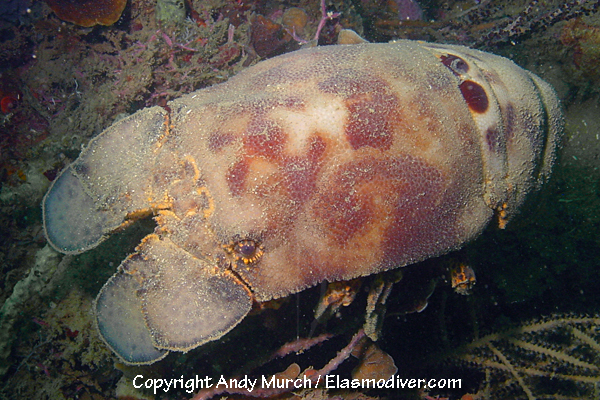 Pictures of clawed lobsters, spiny lobsters, slipper lobsters, crayfish and other lobster-like arthropods. - commercial images of lobsters from around the world.